This little guy will never get cancer. Maybe he can teach us how so we can deal better with the cancers we get. 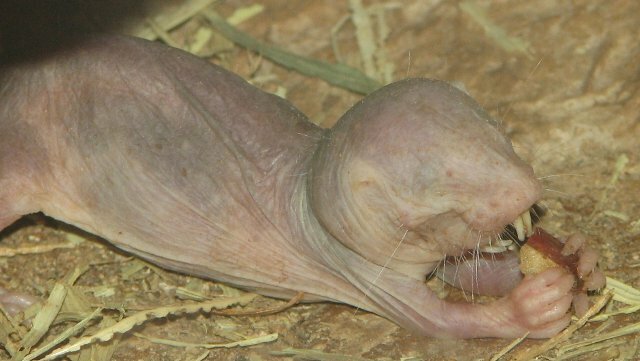 Naked mole rats are these weird, ugly little beasts that burrow around East Africa. They are not the kinds of animals anyone would ever pay attention to (except maybe a few years ago when one was a sidekick on the Disney Channel show, Kim Possible). And yet, perhaps, we should notice them as they may help us understand and maybe even find new ways to combat cancer. Naked mole rats are unique in the rodent world in that they don’t get cancer. While most rodents are riddled with the stuff within a few years (or even sooner), these animals live their thirty or so years cancer free. No one has yet reported a tumor in a naked mole rat. Ever. Obviously scientists would love to figure out why this is. Not only will we learn something about cancer, but maybe we can translate what we learn in naked mole rats to people. These vile little creatures might point us in an unexpected direction that gives us a completely novel way to treat and maybe even prevent cancers. A big reason the researchers stumbled on this anti-cancer molecule was because it slimed up their experiments and clogged the drains in their labs. Some previous work done on naked mole rats showed that a key reason they don’t get cancer is because of something called early contact inhibition. Basically, if cells get too close together, they are sent a signal to stop growing. This applies to cancer cells too. When a cell turns cancerous and starts to divide like crazy, it stops once things get a bit crowded. This is apparently enough to keep the cancer at bay, at least in naked mole rats. Mice, people and guinea pigs all have this form of inhibition too. It is just that the process is much stronger and nigh on impossible to shut off in naked mole rats. So the obvious next step for scientists was to figure out why this pathway is so much stronger in these cancer free rodents as compared to the rest of us. The results of a new study by Tian and coworkers point to a chemical called hyaluronan (HA). We all make HA but naked mole rats make lots more of a much larger version of this chemical. Through a series of clever experiments, these researchers were able to show that this HA is enough to keep cancer away in a naked mole rat cell. The first step in figuring this out was to find the gene responsible for making this special HA. There are a number of genes responsible for making this chemical in a cell but the researchers quickly homed in on HAS2. The naked mole rat version had a couple of unique DNA differences not seen in any other mammals that scientists have looked at so far. They then showed that when they put this gene into human or mouse cells, they now made naked mole rat HA (called high molecular mass HA or HMM-HA). The next step was to see if making this HA was enough to keep the cancer away. The way they did this was to add a couple of things to naked mole rat cells that prime mice and human cells to become cancerous. They then added these cells to a mouse and checked whether tumors formed. As expected, these cells did not turn cancerous. 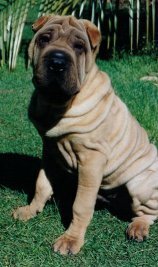 Shar Pei dogs are wrinkly because they make a lot of HA but they still get cancer. So just making a lot of HA isn't enough to keep cancer away. You might need to make a lot of the right kind. Things were very different, though, if the cells were coaxed into making less naked mole rat HA. 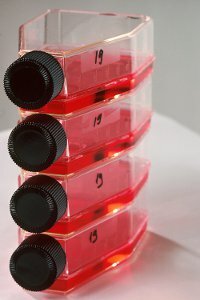 Then these cells did form tumors. It looked like naked mole rat HA kept cells that should be cancerous from becoming cancerous. Of course, there may be lots of other things going on in a naked mole rat cell that help the HA keep cancer at bay. To figure out if all a cell needs is this HA, scientists plan to substitute the naked mole rat HAS2 gene for the mouse HAS2 in a mouse and see if that engineered mouse ends up with cancer less often. If so, then this HA may be enough to prevent cancer on its own. If not, then they’ll need to figure out what else is going on in the naked mole rat cell. In the future we probably don’t want to engineer humans to make this HA even if it does end up protecting mice from cancer. Scientists think that naked mole rats evolved this molecule not to keep cancer away but instead to give them the loose skin they need to wriggle and burrow in tight spaces. If we had its HAS2 gene we might end up looking like them! The most likely way we’ll be able to use these results to help us fight cancer in people is to learn what pathways it activates and see if we can mimic this with some more pharmaceutical-like chemical. Then we can turn on cancer prevention and/or treatment without having to look so odd. This research also again points out the merits of basic research. If we focused on only applied research, we would never have learned that naked mole rats don’t get cancer. We never would have come across tis potential new cancer therapy without some scientist studying naked mole rats in Africa.